Horticulture and plant identification is great as a hobby and as a practical way to be aware of what is growing in and around your garden. 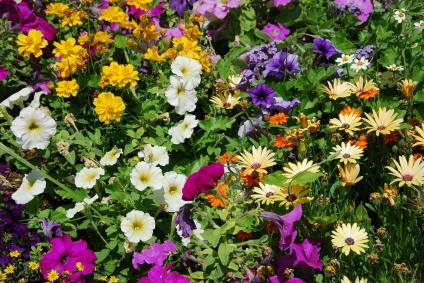 Knowing the different cultivars of your plants, as well as their botanical names, will help you become conversant with others who share your gardening hobby. If you aren't sure where to start in learning about the plants that live in your area, there are plenty of resources to help get you started. Learning doesn't have to come from books either; there are hands-on courses you may attend that will teach you about horticulture and plants. Studying textbooks and field guides aren't always the most popular ways to learn about plants. Often times the photos aren't clear, or the drawings simply aren't detailed enough. If this has been your experience, take heart. There are plenty of places to take classes where you can examine the physical plants or engage in horticultural activities in person. For many people, this is the best way to learn. Historical Societies - these types of places often have mini-classes on plants that can be grown locally, as they were in the days of old. Wildlife Centers - these types of centers are usually associated with your local park service. They typically offer nature walks and plant identification walks that can be helpful for gardeners. Horticultural Clubs - check your local phone books for listings on gardening and horticultural clubs. These types of clubs are a great place to learn about gardening and plant identification at the local level. Cooperative Extension - a great place to get information on gardening and horticultural events. They often have classes and seminars of interest to gardeners in your particular area. Local community colleges and universities - ask for a current course bulletin or a list of summer offerings. Classes typically offered include identifying local wild plants, tree identification and general botany classes. There are many very detailed books on native [[Wild Strawberries|plant] identification and horticulture subjects. The following books may be of help in your quest to learn more. There are many more popular books that you can use to learn more about this fascinating subject. Don't forget to check your local library to see what they have to offer on plant identification and horticulture. Many of their books can be kept for several weeks, depending upon the library, and they can help you determine which books you may want to add to your own library in the future. For gardeners, it is a great asset to learn about local weeds, wild flowers and invasive plants that could overtake your garden. Many of the resources listed above provide great color photos to assist you in the identification process. Remember to check with local resources to find about horticulture course offerings and visit your local library to see what books they have on the subject before you purchase them. Above all, have fun in learning about local plants that grow in your area..